Vesconite Hilube pump bushing continues to be used by the company that first proved Vesconite’s suitability for pump applications. Lubrication-free bushing and wear materials, Vesconite and Vesconite Hilube, are still being supplied to the company that first proved the material’s suitability for pump applications, more than 30 years ago. 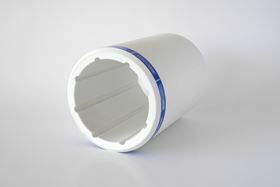 An international pump company originally approached Vesco Plastics Australia about investigating a possible change from bronze and asbestos-based bushings. Vesconite became one of the 18 materials that was bench-tested in challenging conditions to determine which bushing material could survive in highly-abrasive conditions. Robert Egginton still supplies the pump company with 40 to 80 bushings each year and these are used in various pumps used by the international pump company’s Australian division for repairs or unusual applications. Global shortage of carbon graphite leads to search for alternatives.